Stubborn drain clogs and recurring blockages can be a sign of major problem with your properties plumbing system. Drainpipes and sewer pipes that are responsible for removing wastewater, waste materials, and raw sewage from your property can become damaged over time. A professional drain cleaning in Stillwater, Oklahoma is a good way to prevent this damage and make sure your pipes last as long as possible. Having your drains cleaned by a specialist, like Nu Flow Technologies is the best way to accomplish this. Our service is not expensive thanks to technologically advanced tools and equipment. 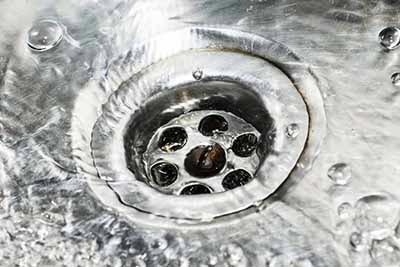 The bottom line is drain cleaning will help you avoid costly plumbing repair and or replacement work by keeping the pipes in good working order at all times. Hydro jetting is one of the most efficient drain cleaning processes. It is great at removing almost any type of clog in the system, and is the go to method for eliminating long term grease, gunk, and oil buildup. Hydro jetting is also incredibly effective at eliminating the collection of sediments, and the frequent blockages caused by hair, toothpaste, soap scum, and dirt. It is also used for severe clogs in the drain and sewer pipe system that are caused by food animal bones, fats, and starchy foods that go down the drain. Hydro jetting is also the perfect solution for preventative maintenance, as the process will keep the pipes free and clear. This holds especially true when it is performed on a regular basis. If you are experiencing clogged drains at your residential, commercial, or industrial property those do it yourself approaches simply will not solve the problem. The array of off the shelf chemical solutions specialized sink plungers, and drain augers often prove to be ineffective. Unrelenting clogs, and proper maintenance simply demand the efforts of a trained and experienced expert, and hydro jetting offers plumbing pros best overall solution. Think of it as power washing for your drain pipes and sewer pipes. Hydro jetting works with basically all drain pipe configurations. The combination of powerful tools and the expert use of those that equipment offers comprehensive cleaning solutions to homeowners, property investors, and municipalities in the Stillwater, Oklahoma area. The procedure is equally successful for use in drain and sewer systems of all sizes. It works with any type of drain and sewer pipe material including cast iron, cement, clay, Orangeburg, steel, and PVC plastic. Hydro jetting is also recommended for pipes that have been repaired or lined with cured in place epoxy resin materials. It is also available for pipes that measure anywhere from 1.5-inches to a full 48-inches in diameter. If you have a stubborn clog or pipe problem of any kind, call us, we’re happy to help out.